SEGA has announced the headline new features for Football Manager 2019. The all-new Training module now includes a wealth of new options, sessions and programmes to help managers get the best out of their senior players and develop their young stars. 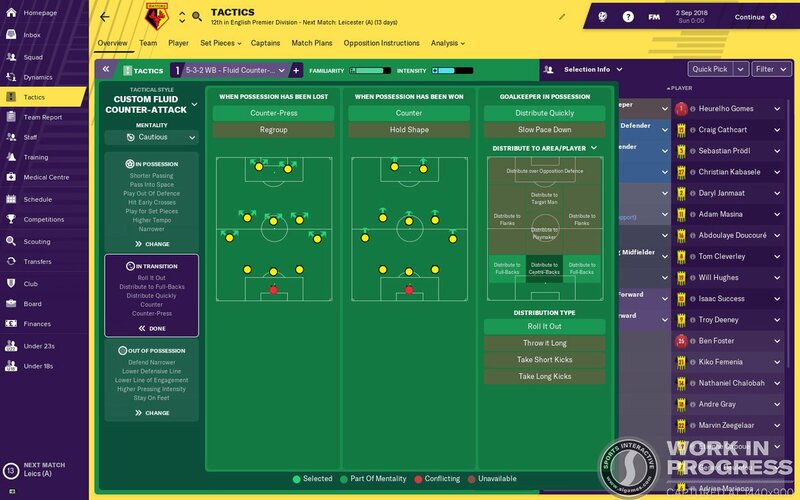 FM's tactics module has also got a revamp. New preset tactical style options allow managers to either select from some of the most popular systems from world football or develop their own, unique tactics and philosophies. Video technology makes its debut in FM19, in the form of both the Video Assistant Referee (VAR) and goal-line technology. Both technologies will feature in competitions that make use of them in real-life. Fans will be able to apply these tactics to any one of the 36 fully licensed clubs in the top two flights of German football, as Sports Interactive has signed a licensing agreement which will see clubs from both the Bundesliga and Bundesliga 2 kitted out with official club badges, kits and player faces – a first in the series' history. A brand new 'manager induction' system acts as an interactive tutorial system that allows newcomers to find their feet without having to leave their save game. This year's game features an updated look. Football Manager 2019 will be released on PC and Mac on November 2nd, 2018.